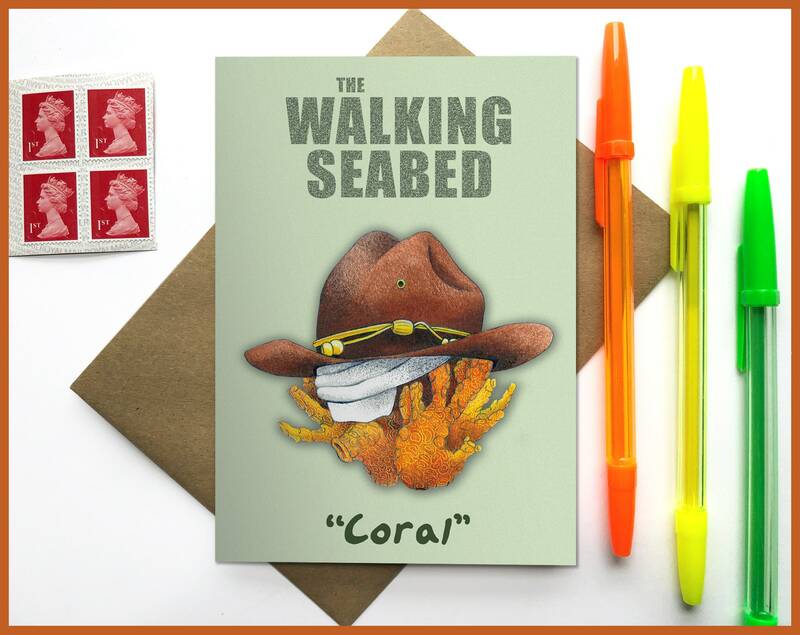 I've always thought when Rick shouts his sons name is sounds like Coral rather than Carl so I decided I should design this! 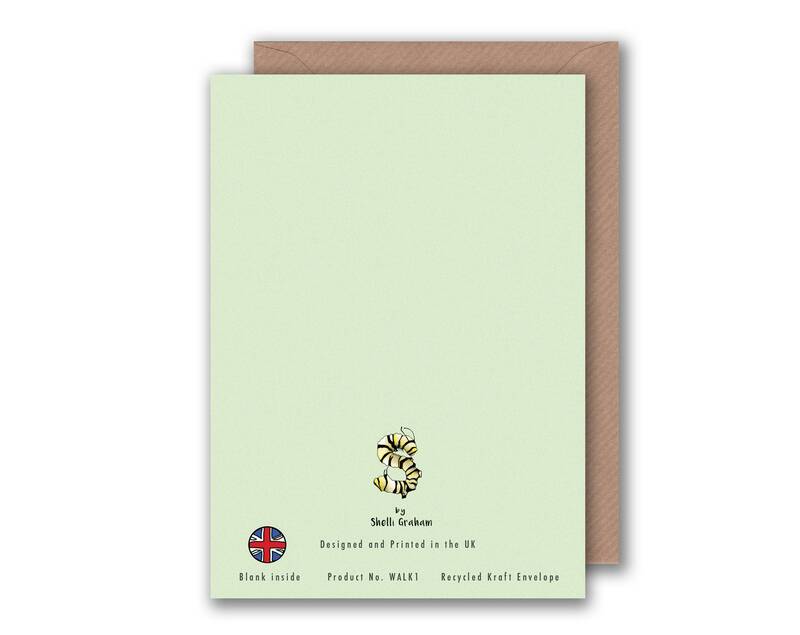 My 'Walking Dead' inspired greeting cards are printed on 300gsm TruCard, a specialist greeting card material that is coated and scratchproof on the outside and uncoated on the inside so it's easy to write on. 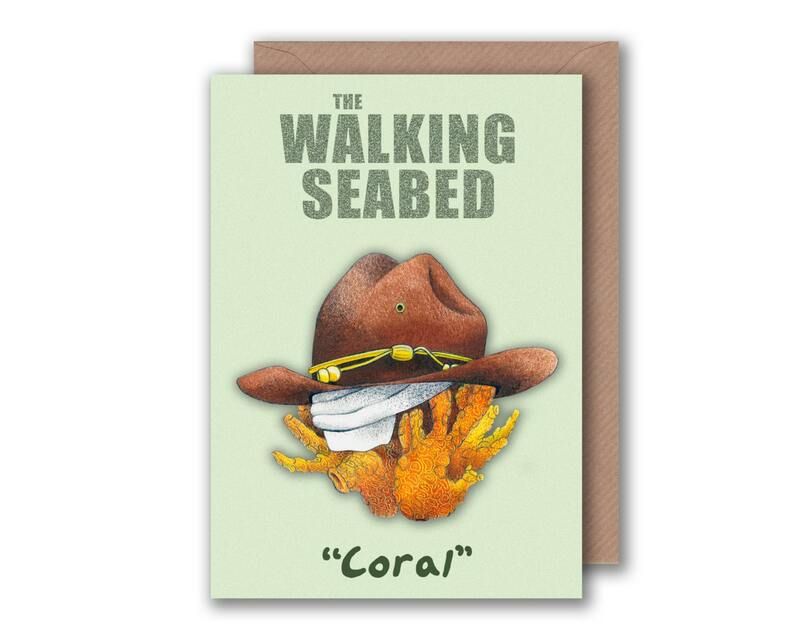 This card is perfect for any Walking Dead fan!